I Want To Use Dragon Voice Recognition In My School/Uni – What Licence Do I Need? Read moreI Want To Use Dragon Voice Recognition In My School/Uni – What Licence Do I Need? Some excitement over the last couple of weeks with rumours abound that Nuance have done a deal with Apple and have signed some kind of agreement to use their voice recognition technology in the up coming iOS5 release for iPhone, iPad and iPod Touch. Since Siri was gobbled up by Apple back in 2010 we have all been waiting to see what Apple will do with the voice controlled concierge and the theory is Dragon will be used to power the new Apple stamped version of Siri when it finally emerges. These are just rumours for now but rumours which are growing in substance. 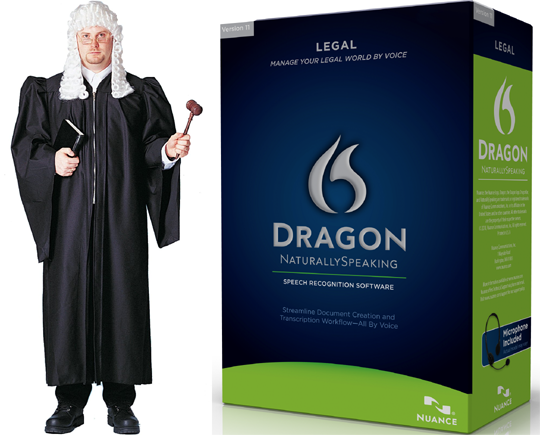 Nuance Australia this week released the Legal vocabulary pack for Australian Dragon NaturallySpeaking 11 Professional users. The language pack is available as an add-on, you must have Dragon NaturallySpeaking 11 Professional already installed, or you can buy the language pack with DNS 11 Pro as a bundle. The legal pack is designed specifically for Australian legal users and is crammed full of Australian centric legal terms, just over 200 million words Nuance claim which will help legal users achieve optimal accuracy out of the box when dictating legal terms. Dragon Dictate Mac Roadmap – What Next For Scribe? Medical? Legal? Nuance has quickly forged their authority on the Dictate brand of voice recognition software for Mac and with their first release Dragon Dictate 2.0 they have done an excellent job. But what now for the Legal and Medical edition still stuck at MacSpeech Dictate version 1.5 and the fairly new offshoot product MacSpeech Scribe currently … Read moreDragon Dictate Mac Roadmap – What Next For Scribe? Medical? Legal?